As we anticipate an increasing population that is also increasingly wealthy, the conversation tends to focus on how much more food we’ll need to grow or how we can increase the yield of major crop staples. But, when it comes to feeding the planet, while producing more food will almost certainly be necessary, it won’t be enough. In rich and poor countries alike, the quality of the food we grow and eat may be even more important than the quantity. In order to end hunger and malnutrition while achieving sustainable food production systems, we must not only feed people; we must also nourish them. Whether we can meet this goal depends heavily on the nature of our production systems, the variety of foods they produce, and the nutritional quality of that food. Sustainable food production and healthy diets complement each other, each one providing a means and an end to achieving global food security. This report focuses on the places where nutrient-rich foods are produced, as well as the farmers who produce them. The scope of the report includes crops, livestock, and fish products, as all play vital roles in ensuring nutritious diets around the world. Globally, small and medium farms produce the majority of the foods and nutrients. We’re used to thinking of food in terms of calories—whether we are concerned about eating too much or not enough. However, food not only provides dietary energy; it is also the source of many different nutrients that play important roles in human growth and development, as well as disease prevention and longevity. Getting all the nutrients we need to grow, develop, and thrive requires eating a variety of foods. This figure describes how different foods contribute to an adult’s daily nutrient needs. These foods are rich sources of different micronutrients, and make variable contributions to dietary energy and protein. For example, just 1 serving of fish supplies all of the vitamin B12 and selenium, and nearly all of the protein, required for an adult’s daily needs. A serving of broccoli provides more than enough vitamin C and nearly half of folate to meet an adult’s daily needs, but supplies just 3 percent of our energy needs. Hunger: Around 790 million people in the world don’t get enough calories to meet their needs. This number has declined from more than 1 billion people in the 1990s. Micronutrient deficiencies: Around 2 billion people in the world don’t get adequate vitamins or minerals in their diets, which can lead to poor growth and development in children and poor health in adults. This kind of malnutrition is often called “hidden hunger,” as its effects aren’t always visible to the naked eye. Overweight and obesity: Nearly 2 billion people in the world suffer from overweight or obesity related to excess calorie intake. This is also often associated with many chronic diseases affecting people around the world, from Type 2 diabetes to heart disease. Malnutrition also has profound economic effects, arising from both lost productivity and the cost of treatment. This burden is felt more in some places than others, but overall leads to a loss equivalent to 10 percent of world GDP each year, or more than the global value lost during the 2008 financial crisis. In an effort to both improve human wellbeing and reduce this economic burden, the UN is placing an increasing amount of attention and resources toward this issue. In fact, it is a key component of their Sustainable Development Goals, the second of which aims to end hunger and all forms of malnutrition by 2030. Around the world, small and large farms play different but equally important roles in achieving food security. Globally, small and medium farms of less than 50 hectares produce more than half (51-77 percent) of nearly all the foods and nutrients that are most central to our diet. This includes the majority of the world’s roots and tubers, vegetables, fruit, pulses, cereals, and livestock. The pattern is similar for global nutrients: small and medium farms produce more than half of nearly all nutrients examined here, with the exception of folate and iron. 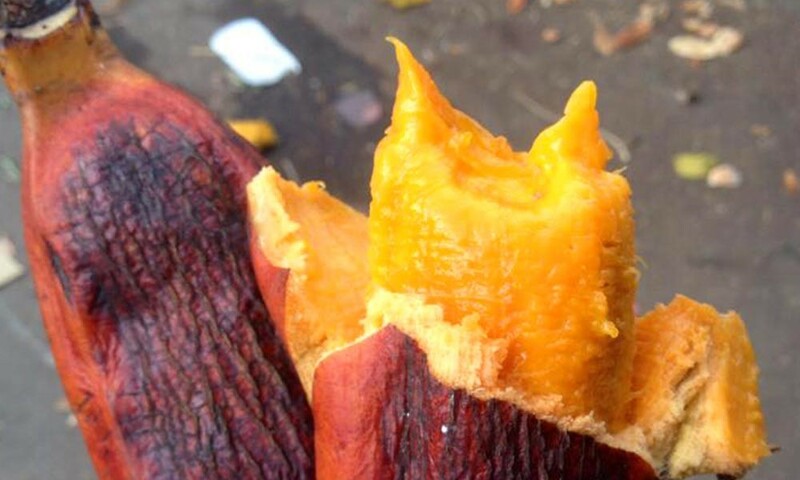 They also account for an especially large proportion of vitamin A (77 percent). In comparison, small and medium farms contribute 57 percent of global food calories. On the other end of the spectrum, large farms of more than 50 hectares produce 30-64 percent of the world’s major food types. This includes 64 percent of oil crops, and nearly half (49 percent) of cereals. 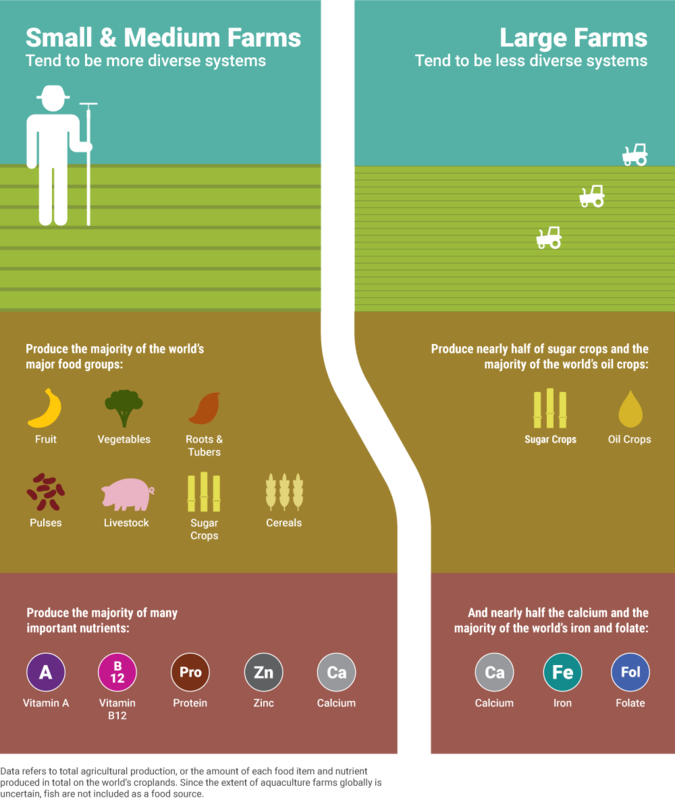 While cereals and oil crops are less nutrient-dense and often have lower bioavailability of some micronutrients than other foods considered, the scale and efficiency of their production mean that large farms are major contributors of key micronutrients at the global scale. In addition, the surplus of food produced on large farms provide vital calories for trade to address scarcity in many parts of the world. Although large farms produce just 43 percent of the world’s total calories, they produce the majority of the world’s folate (56 percent) and iron (55 percent). They also account for nearly half of the world’s calcium (49 percent), protein (48 percent), and zinc (47 percent). Smaller farms are dominant providers of nutrition in developing countries, while large farms often provide much-needed surpluses to address global scarcity. While small farms exist in a vast array of different agricultural systems across the planet, the role these farms play differs depending on where in the world you are. In developing or middle-income nations, small farms are the critical provider of micronutrients for the food supply, especially for many of the world’s poorest and most vulnerable people. Small farms produce more than three quarters of most foods in sub-Saharan Africa, Southeast Asia, and China. In addition, small farms produce more than 80 percent of essential nutrients in sub-Saharan Africa, Southeast Asia, South Asia, China, and the rest of East Asia Pacific. 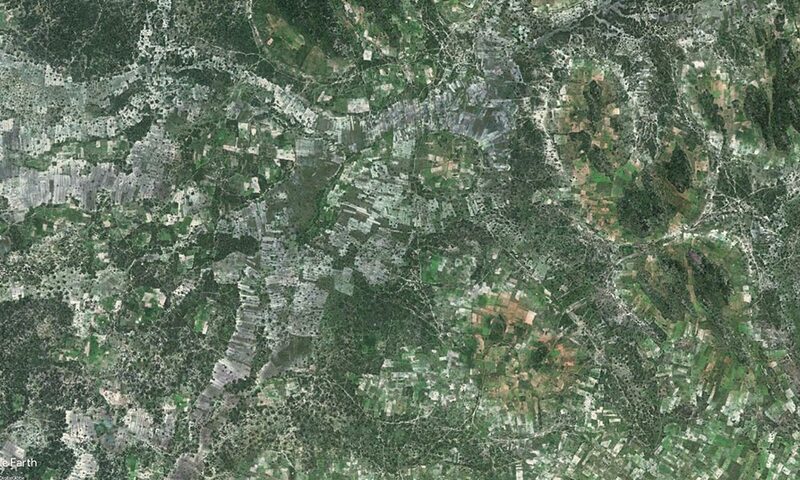 In Asia, the vast majority of farming happens in densely populated landscapes made up of many small farms. Very small farms (less than 2 hectares) produce more than half of all nutrients in China, and over a quarter of nutrients in many other regions, including South Asia, Southeast Asia, sub-Saharan Africa, and East Asia Pacific. It’s important to note that some foods are not major global sources of nutrient production, but are critical to regional food security. Fish, for example, is a minor contributor of calories and protein worldwide, but supplies a fifth of vitamin B12 in China and Southeast Asia. Most of sub-Saharan Africa is dominated by smallholder farming, though in many cases systems are less dense as farms use less productive or more arid land for grazing livestock and other practices. Often, these areas are also characterized by a greater nutritional dependence on local production, due to a lack of access to markets, as well as transportation and storage infrastructure, and a focus on minimizing risk and variability. In such parts of the world, small farms are responsible for about 80 percent of essential nutrients produced in each region, as well as more than 60 percent of regional food calories. At the same time, large farms dominate production in North America, South America, Australia, and New Zealand. In these regions, large farms account for nearly all (75-100 percent) of cereal, livestock, and fruit production. In South America, Australia, and New Zealand, very large farms account for more than half of nutrients produced. In Europe, West Asia, North Africa, and Central America, medium-sized farms contribute a more significant proportion of foods and nutrients. Explore farm size patterns further with our interactive story map. The maps below show nutritional yields, or the number of people who can meet their nutritional needs from all of the crops, livestock, and fish grown in an area. Global hotspots include China, India, Europe, the North American Great Plains, Southern Brazil and Northern Argentina, the East African highlands, and parts of West Africa. Since vitamin A and vitamin B12 are supplied by fewer commodities, their global production is lower and limited to a few key areas. In order to improve human wellbeing around the world, while also maintaining diverse and healthy agroecosystems, we must reassess our goals. Rather than simply feeding people, we need to think about nourishing people with diverse foods. Diversity and balance in food systems are good for people and ecosystems. Small farms often exist as part of diverse agricultural landscapes that support a wide variety of crop and non-crop species. 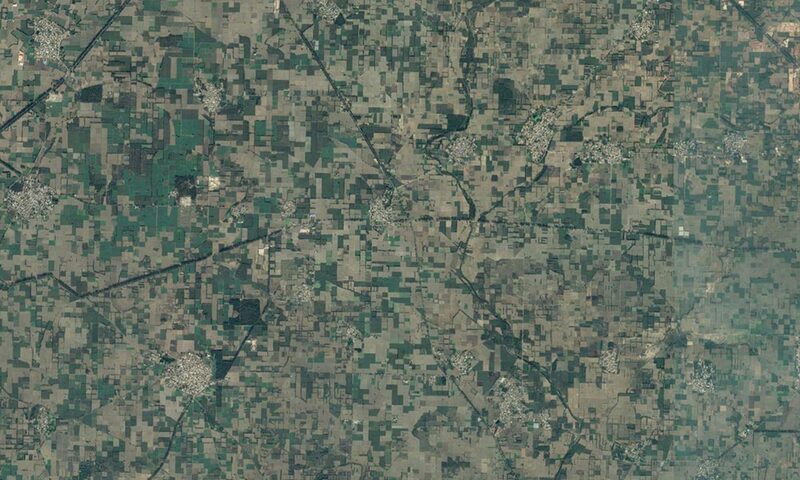 The results are often a mosaic of crops, trees, and pastures. In addition to making up more diverse landscapes, small and medium-sized farms include greater levels of crop species and genetic diversity than do larger farms. This diversity can improve the resilience of farming systems. For example, since shocks may affect some crops or livestock more than others, a diverse farm can provide a buffer to extreme weather events, price fluctuations, or pests and disease. Diversity on farms can also help ensure a supply of nutritious food that is available at different seasons throughout the year. Moreover, small farms often have greater crop productivity per unit area than large farms. Even though highly diverse farms occupy less area, they produce the majority of the world’s nutrient-dense foods. Farms that are highly diverse produce 80 percent of the world’s vegetables, 70 percent of roots and tubers, 67 percent of pulses, 60 percent of livestock, and 58 percent of cereals. Higher agricultural diversity generally leads to greater diversity of micronutrients. 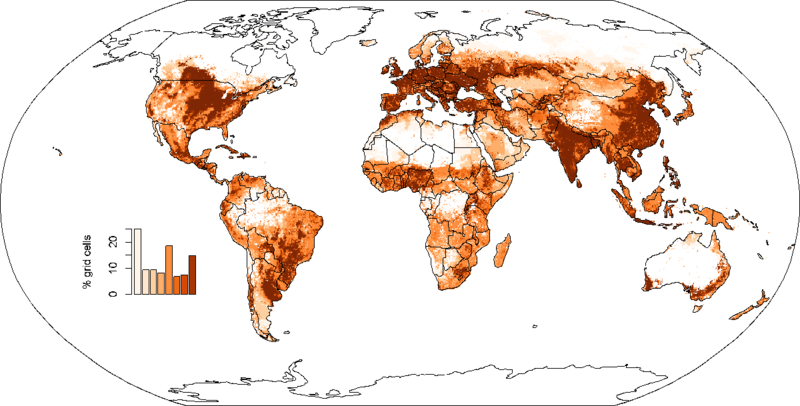 As with farm size, agricultural diversity of various regions differs around the world. 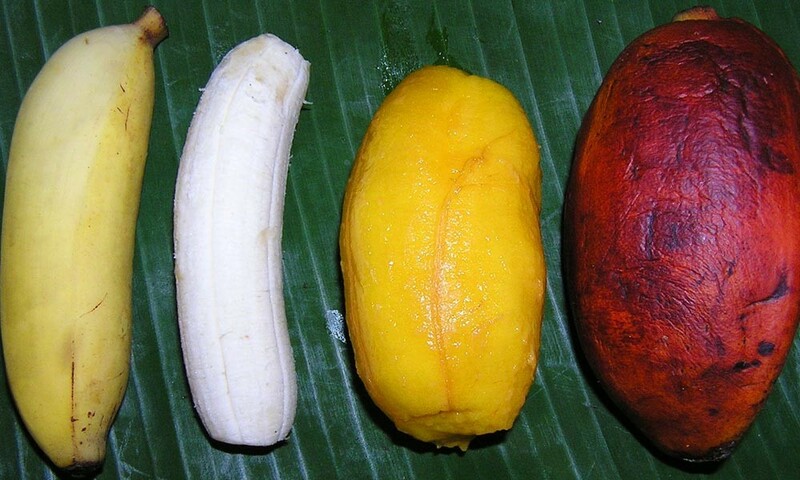 For example, much of the western part of South America, Asia, Africa, and Europe produce a lot of different foods. In contrast, much of Australia, and North and South America are not agriculturally diverse, producing relatively fewer types of crops, livestock, and fish. 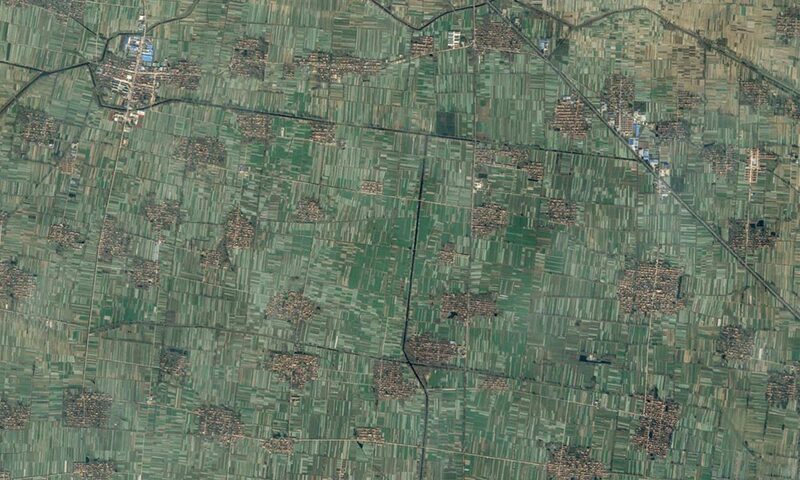 Small farm fields in Northern India. In much of Asia, such as Shandong Province, China (pictured), the vast majority of farming happens in densely populated landscapes made up of many small farms. A mosaic of small croplands, pasture, and forest in Uganda. Most of sub-Saharan Africa is dominated by smallholder farming, though in many cases systems are less dense as farms use less productive or more arid land for grazing livestock and other practices. 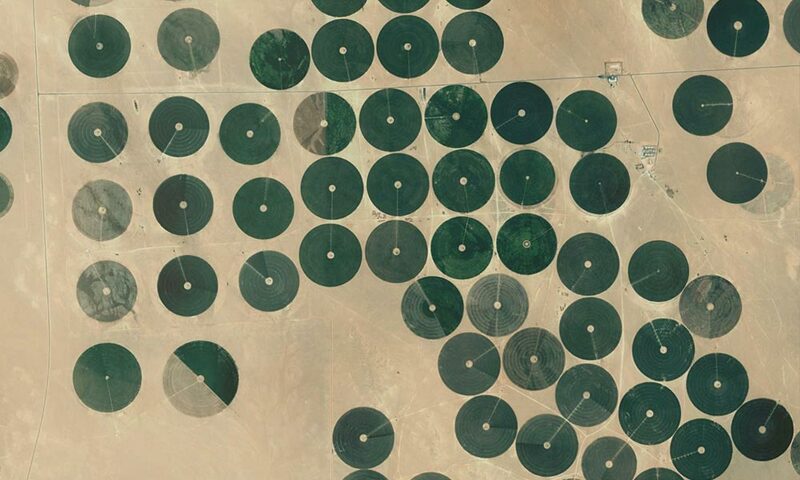 These large farm fields in Saudi Arabia are irrigated with center-pivot systems. 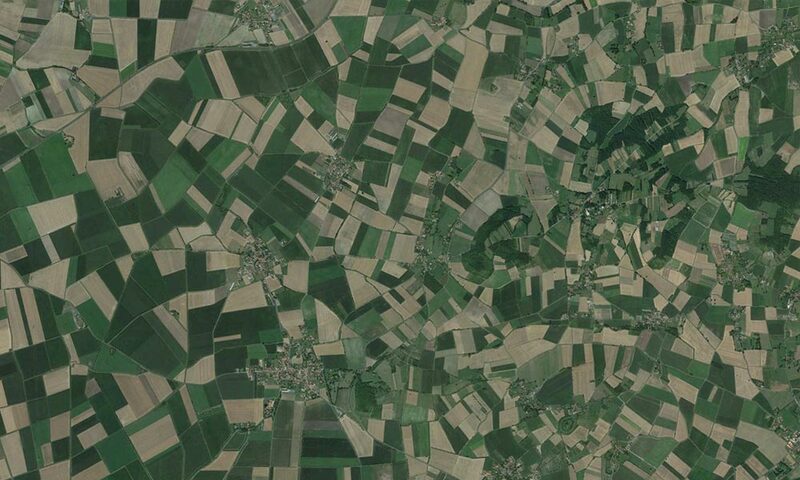 A mix of small and medium-sized farm fields in France. Europe and Central America are different from other world regions in that medium-size farms (20-50 ha) are significant producers of most foods. 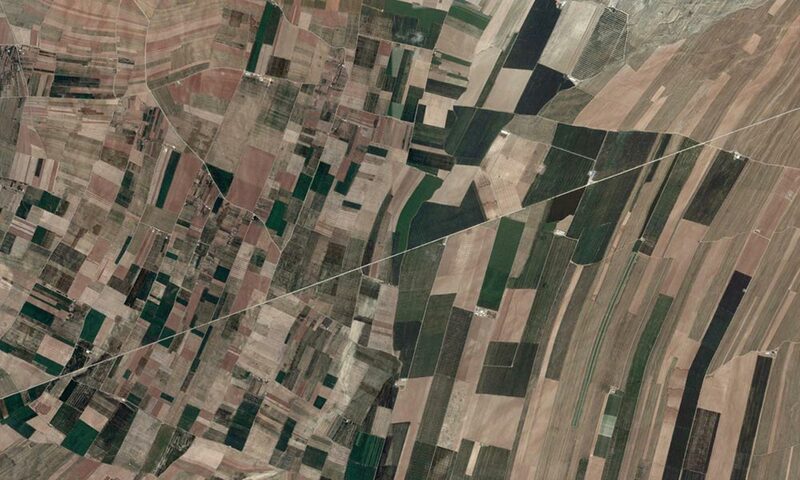 Medium and large farm fields in Iran. In West Asia, North Africa, Central America, and Europe, medium-sized farms contribute a significant proportion of foods and nutrients. 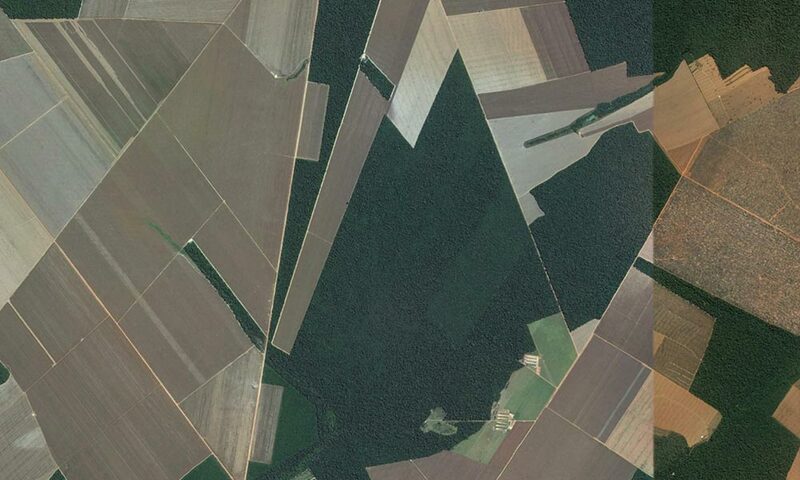 Large farm fields in Central Brazil. In North America, South America, Australia, and New Zealand, large farms (of over 200 ha) dominate both food and nutrient production. 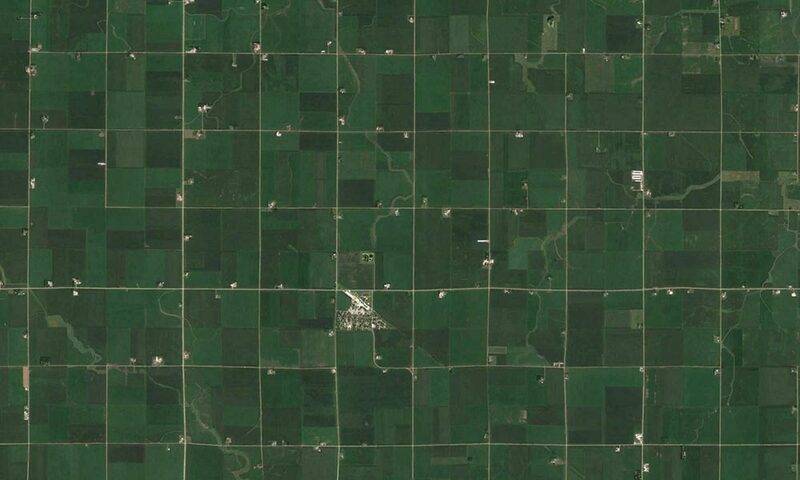 Large farm fields in western Iowa. Globally, large farms account for 64 percent of oil crops, and nearly half (49 percent) of cereals. Explore further with our interactive story map. All slideshow photos courtesy of Google Earth. Are smaller farms stewards of global nutrition? The answer is a resounding yes. At the same time, though, large farms are critical to global food security. To truly improve the quality of the food we produce, and not just ensure adequate calories, effective solutions must be rooted in a regional understanding of how the size of farm systems influences food and nutrient production. In parts of the world where farmers and communities have limited access to markets, growing a broad range of nutrient-rich foods on local farms is essential to a diverse and healthy diet. Intensification strategies that lead farmers to cultivate fewer crops—often just a few cereals and pulses—will have negative effects on the health of people and the resilience of the agricultural system. In these systems, producer-focused solutions are necessary to enable farmers to cultivate diverse and resilient systems. Agricultural diversity is important in wealthier countries as well. Robust markets and widespread trade enable a broad range of food choices, but do not necessarily support healthy diets or diverse agricultural systems. The prevalence and affordability of processed foods—made up of just a few food types such as corn, soy, and beef—can lead to malnutrition and obesity even where food is plentiful. While people can access a diversity of crops via supermarkets, the lack of diversity in large, intensified farming systems can make countries less resilient to climatic variation or pests, requiring environmentally harmful inputs and methods to be productive. In these systems, both consumer-focused and producer-focused solutions are needed to support sustainable and nutritious food systems. 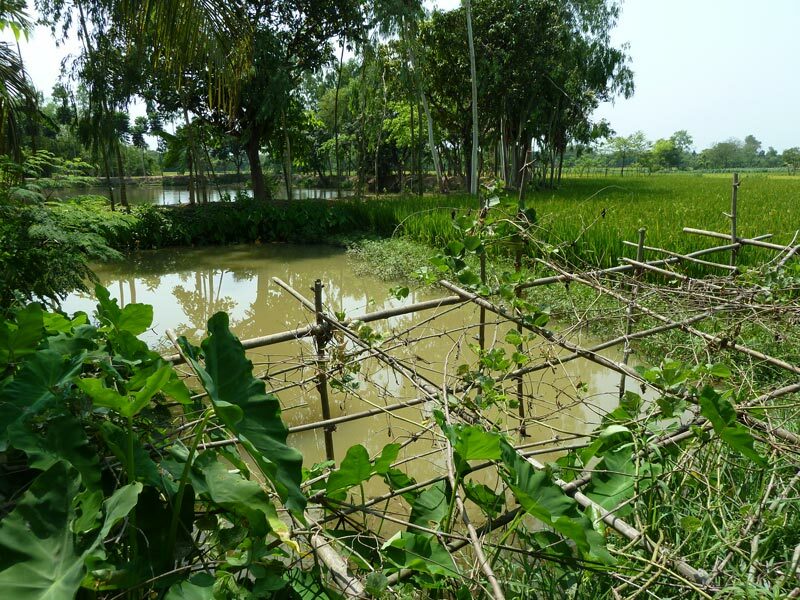 In Bangladesh, farmers are reducing vitamin A deficiency in their communities with a novel approach that relies on a small indigenous fish species in homestead ponds. Farmers here usually raise a few species of large carp to be sold profitably at market. However, mola—a small, indigenous fish—provides ample vitamin A and other micronutrients including iron, zinc, and calcium. Large fish are typically harvested only once or twice during a production season, while mola can be harvested throughout the season to be sold at market or used for home consumption. As a result, farmers’ production and income increases, along with the nutritional value of production. Much of the discussion about diversification focuses on individual farms. While there is advantage to diversification to reduce risk, for small farms it also eliminates most of the benefits that come with specialization (and scale). It is useful to think about diversification at scales other than the farm. Diversification at the village level can provide a more diverse local food supply in areas that have less effective markets, and also allows some degree of specialization at the level of individual farms. 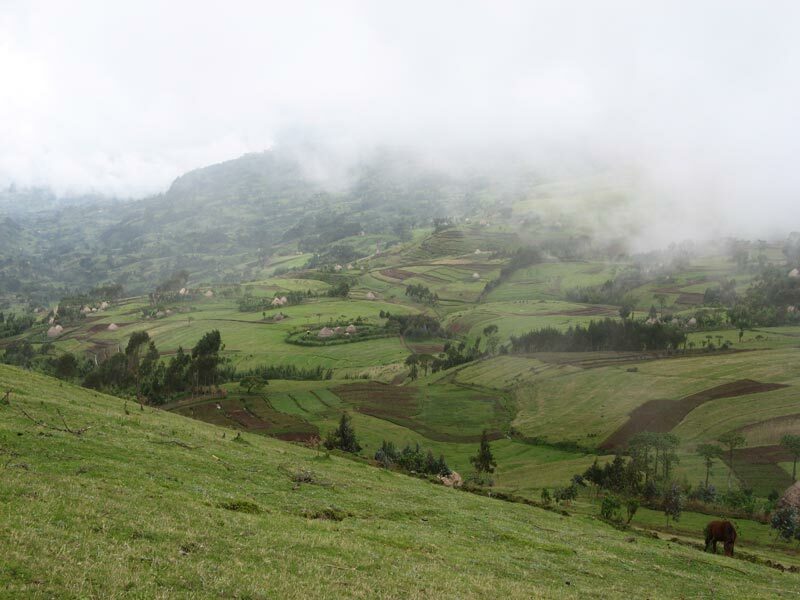 The Research Program on Climate Change, Agriculture and Food Security (CCAFS) Climate-Smart Villages is one example of an effort to support agricultural diversity at the village scale. In industrialized economies like the United States, the discussion of subsidies to improve health has been largely focused on production. There is a good reason that fruit and vegetable growers tend to oppose this strategy: it encourages competition in that sector, which drives down prices, so the economic condition of current growers may deteriorate. As consumption is arguably the largest driver of industrialized food systems, subsidizing fruit and vegetable consumption could significantly improve access to healthy foods. In the U.S., subsidies for fruit and vegetables through the Special Supplemental Nutrition Program for Women, Infants, and Children were seen to increase consumption even after the program was finished. Photo by Neil Palmer (CIAT). 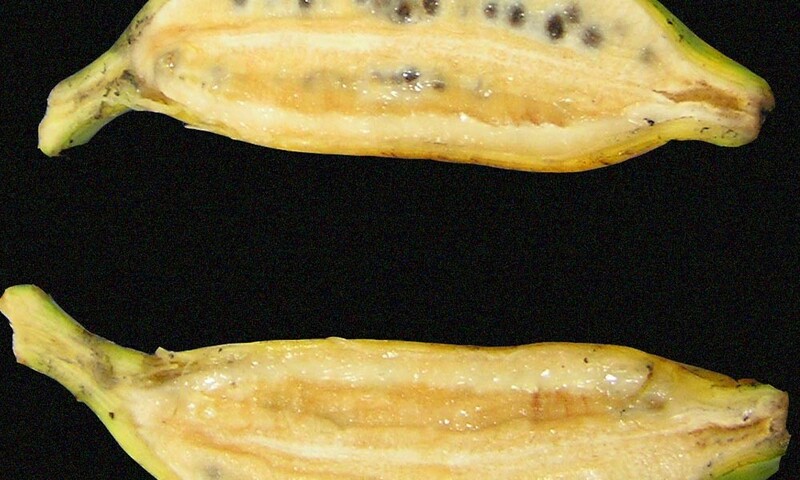 Currently, many crop-breeding programs focus on improving a few major food commodities. However, nutrition can be integrated into both public and private crop breeding projects. This could reverse a long-term trend away from public support of crop breeding, and in particular a limited range of crops and livestock. 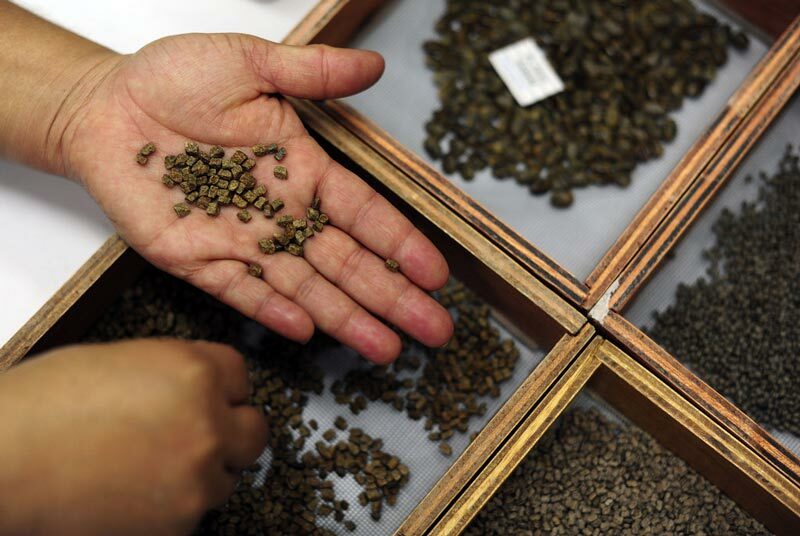 Currently, there are a number of NGOs and scientific societies pushing projects like these forward, including the Open Source Seed Initiative and Bioversity International. Writing and editorial review: Barrett Colombo, Jessica Bogard, Paul West, Leah Samberg, Mario Herrero, James Gerber, Peder Engstrom. The following people provided data and helpful review: Timothy Griffin (Tufts), Brendan Power (CSIRO). Alexandratos, N. & Bruinsma, J. World Agriculture Towards 2030/2050: The 2012 Revision. (Food and Agriculture Organization of the United Nations, 2012). Altieri, M. A., Funes-Monzote, F. R. & Petersen, P. Agroecologically efficient agricultural systems for smallholder farmers: contributions to food sovereignty. Agron. Sustain. Dev. 32, 1–13 (2012). Bogard, J. R. et al. Nutrient composition of important fish species in Bangladesh and potential contribution to recommended nutrient intakes. Journal of Food Composition and Analysis 42, 120–133 (2015). Deininger, K. & Byerlee, D. The Rise of Large Farms in Land Abundant Countries: Do They Have a Future? World Development 40, 701–714 (2012). Englberger, L. et al. 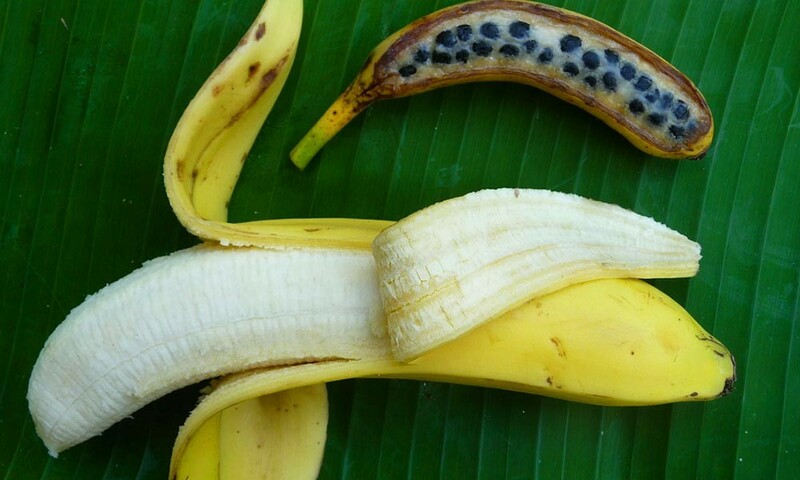 Carotenoid and riboflavin content of banana cultivars from Makira, Solomon Islands. Journal of Food Composition and Analysis 23, 624–632 (2010). FAO & WHO. Vitamin and mineral requirements in human nutrition: report of a joint FAO/WHO expert consultation. (Food and Agriculture Organization, World Health Organization, 2004). Fiedler, J. L., Lividini, K., Drummond, E. & Thilsted, S. H. Strengthening the contribution of aquaculture to food and nutrition security: The potential of a vitamin A-rich, small fish in Bangladesh. Aquaculture 452, 291–303 (2016). Frelat, R. et al. Drivers of household food availability in sub-Saharan Africa based on big data from small farms. PNAS113, 458–463 (2016). Haddad, L. et al. 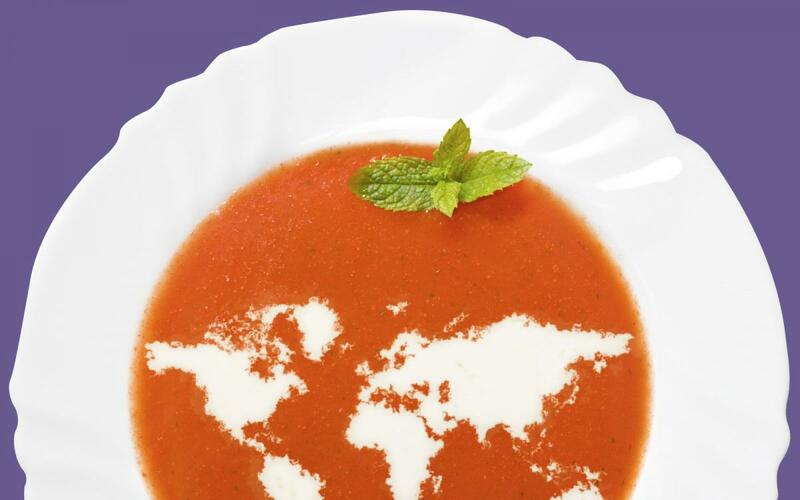 A new global research agenda for food. Nature News 540, 30 (2016). Hazell, P., Poulton, C., Wiggins, S. & Dorward, A. The Future of Small Farms: Trajectories and Policy Priorities. World Development 38, 1349–1361 (2010). Herrero, M. et al. Biomass use, production, feed efficiencies, and greenhouse gas emissions from global livestock systems. Proceedings of the National Academy of Sciences 110, 20888–20893 (2013). Herrero, M. et al. Farming and the geography of nutrient production for human use: a transdisciplinary analysis. The Lancet Planetary Health 1, e33–42 (2017). Hertel, T. W., Ramankutty, N. & Baldos, U. L. C. Global market integration increases likelihood that a future African Green Revolution could increase crop land use and CO2 emissions. PNAS 111, 13799–13804 (2014). Joint WHO/FAO/UNU Expert Consultation. Protein and amino acid requirements in human nutrition. World Health Organ Tech Rep Ser 1–265, back cover (2007). Lowder, S. K., Skoet, J. & Singh, S. What do we really know about the number and distribution of farms and family farms worldwide?. (Food and Agriculture Organization of the United Nations, 2014). Merrigan, K. et al. Designing a sustainable diet. Science 350, 165–166 (2015). Remans, R. et al. Assessing Nutritional Diversity of Cropping Systems in African Villages. PLOS ONE 6, e21235 (2011). Remans, R., Wood, S. A., Saha, N., Anderman, T. L. & DeFries, R. S. Measuring nutritional diversity of national food supplies. Global Food Security 3, 174–182 (2014). Research Institute (IFPRI), I. F. P. 2016 Global hunger index: Getting to zero hunger. (International Food Policy Research Institute, 2016). Samberg, L. H., Gerber, J. S., Ramankutty, N., Herrero, M. & West, P. C. Subnational distribution of average farm size and smallholder contributions to global food production. Environ. Res. Lett. 11, 124010 (2016). Sukhdev, P., May, P. & Müller, A. Fix food metrics. Nature News 540, 33 (2016). Thilsted, S. H. & Wahab, M. A. Polyculture of carps and mola in ponds and ponds connected to rice fields. (CGIAR Research Program on Aquatic Agricultural Systems, 2014). Global Nutrition Report 2016: From Promise to Impact: Ending Malnutrition by 2030. (International Food Policy Research Institute, 2016).